Click the link below for a full schedule at First Baptist of Farmington. Saturday Mass 5:00p.m.Sunday Mass 7:30, 9:00, & 10:30a.m. Tuesday 04/03 Cub Scouts 6:30 pm in the Cafeteria. Sunday Worship Service 8:00a.m., and 10:00a.m. Two big events are being planned by the church. On February 25 an infant/child CPR class will be held from 9 a.m. to 1:00 p.m. at the Fellowship Hall. Please call the office to register at 573-756-4565. On March 16 the church will host its famous UMW Salad Luncheon at the church which features the best salads in town. Also available will be plenty of "homespun goodies." The Presbyterian Church traces its origins back to 1830 when the Rev. J.M. 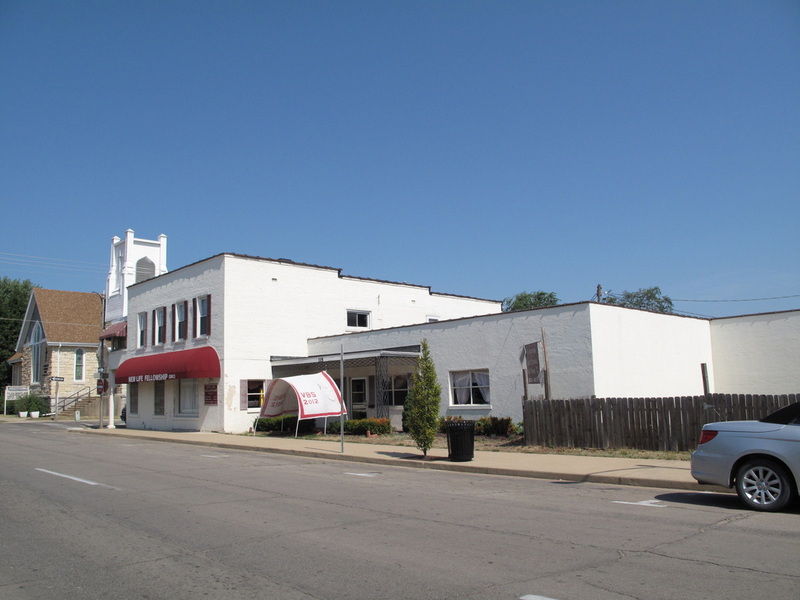 Sadd held his first services in a two-room log cabin on the courthouse square. His wife assisted by teaching weekday secular and Sunday schools plus public prayer meetings—all at her home. 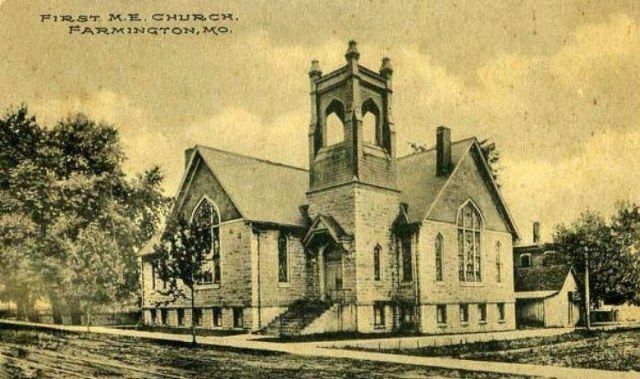 In the Spring of 1832 the Presbyterian Church of Farmington was formally organized as a congregation—the first in Farmington. Among the town’s leading citizens who joined the new church were Mr. and Mrs. M.P. Cayce. 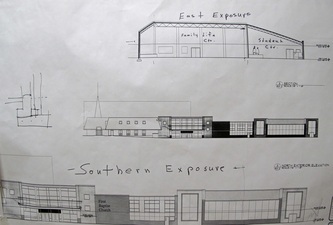 The Cayce family and their descendants would continue to be active in the church through the 1980s. 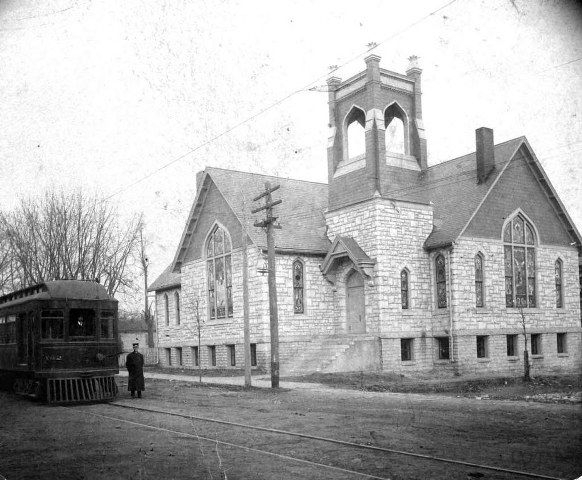 In 1884 the present church building was constructed at Columbia and Cayce streets. This is the town’s oldest church building in continuous operation. 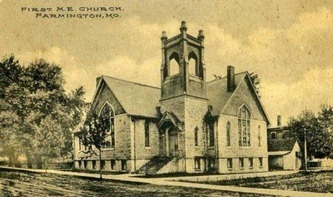 The church also built the first structure dedicated to Sunday School classes in 1927. 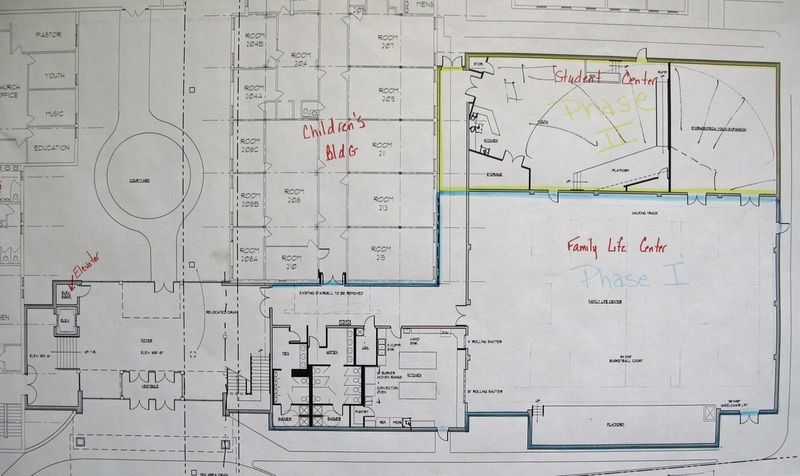 (St. Paul Lutheran Church built a combined church school/Sunday school facility that same year.) The Rev. Paul Bembower is the current church pastor. These two photos of the Christian Church were taken in the 1910s (left) and the 1920s (right) when the building still housed the (Northern) Methodist Church. Phone: 573-756-5314 Church or 573-756-1321 Parsonage. 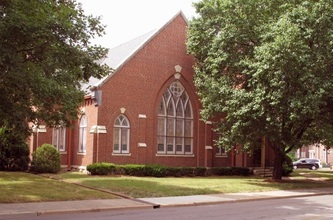 The Farmington Christian Church traces its beginnings to 1855, when the Rev. S.S. Church met with denominational followers in Farmington, Libertyville and Fredericktown. One of the results of these meetings was the forming of a Christian Church in Farmington. 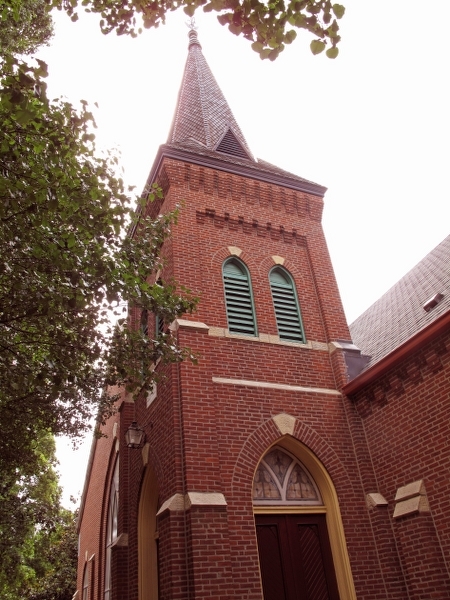 Two years later the group built its first church at Harrison and South Henry streets. 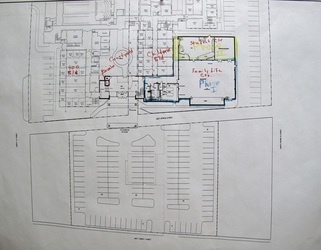 However, the building was eventually sold on the Courthouse steps for debt of $546.39. On July 8, 1875, a supporter of the Christian Church bought a different church building for $300 that had also been sold on the Courthouse steps for debts. 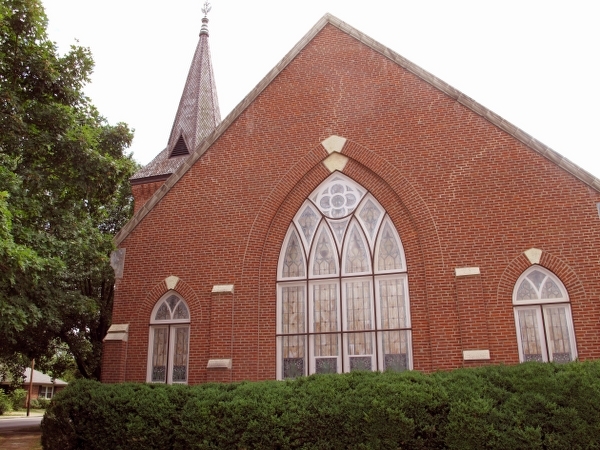 With a building now available, the Disciples organized a congregation with 42 members on September 4, 1875. In 1885 the membership moved to a larger church building that was being vacated by the Presbyterian Church, which was moving to a new building two blocks away on Columbia St. 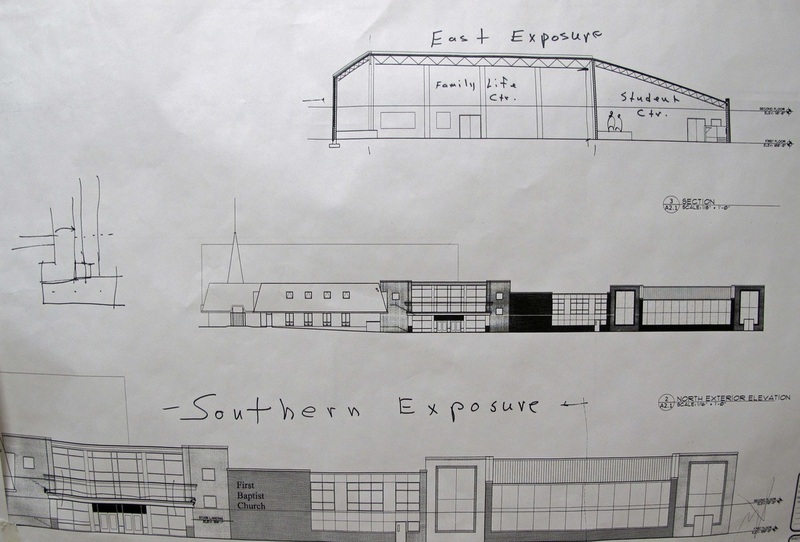 In 1950 the congregation moved once again to its present location (in photos above), which was purchased from the (Northern) Methodist Episcopal Church. Today the pastor is the Rev. Dale Berck. Farmington’s First Church of the Nazarene traces its beginning to August 12, 1958, when eight followers met at the home of Paul Richardson for an organizational meeting. Richardson was appointed the new church’s first pastor and Opal Groseclose the first secretary. 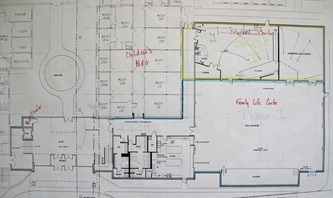 Under the direction of Richardson, work had already begun on a new building, which was opened the following month. 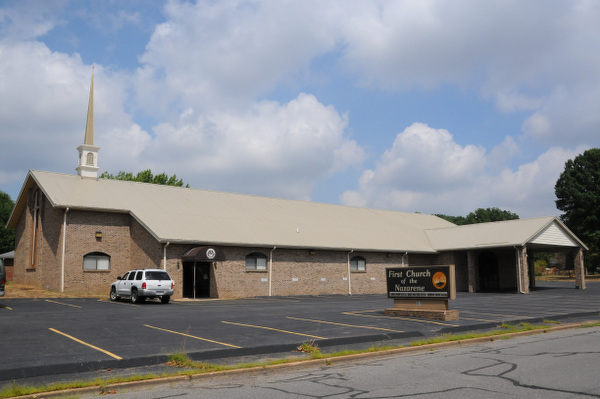 In 1991 the church completed a major building expansion which more than doubled the size of the original structure ans included a new sanctuary, classrooms, and administrative offices. To date, the church has had ten ministers, the current pastor being the Rev. Terry Turner. 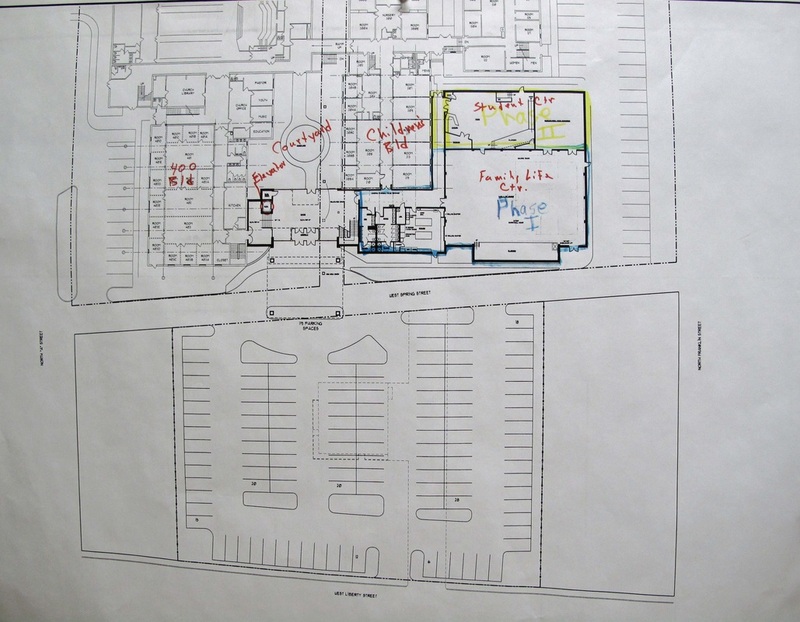 The address is 801 North Middle Street; phone: 573-756-6277; e-mail: Farmington_nazarene@hotmail.com. Click the button below for a list of services and times.